This is an idea I first saw on Pinterest and I love it. 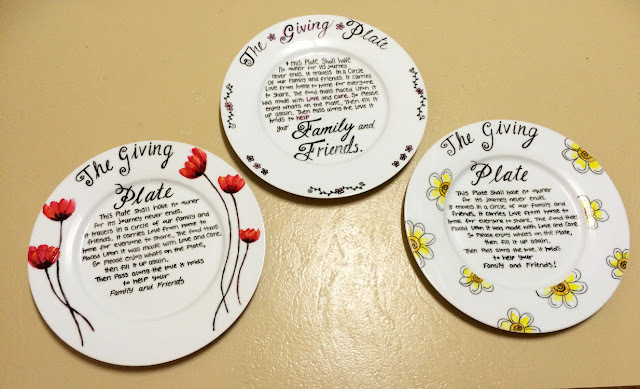 The idea that a plate has no home because it is continually circulated from home to home full of Home baking to give someone a hand or show them that you care, is SOOO cool. I love it! I just had to make one, Or three!!! Check out My Tutorial How to Make a Giving Plate by Siann Watts on Snapguide.